Farzi Cafe which set up shop at the Cyber Hub a few years back pioneered the concept of molecular gastronomy in Gurgaon. It's generally always full and a reservation is definitely recommended before heading to FC. 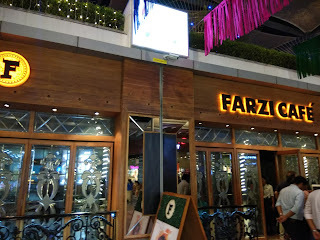 I went to Farzi Cafe recently for dinner and was met with a warm hospitality and courteous staff. The setting is divided into two sections the one closer to the main door more preferred for small groups. They have a well-stocked bar with a variety of wine and drinks. I ordered a couple of cocktails which were good. 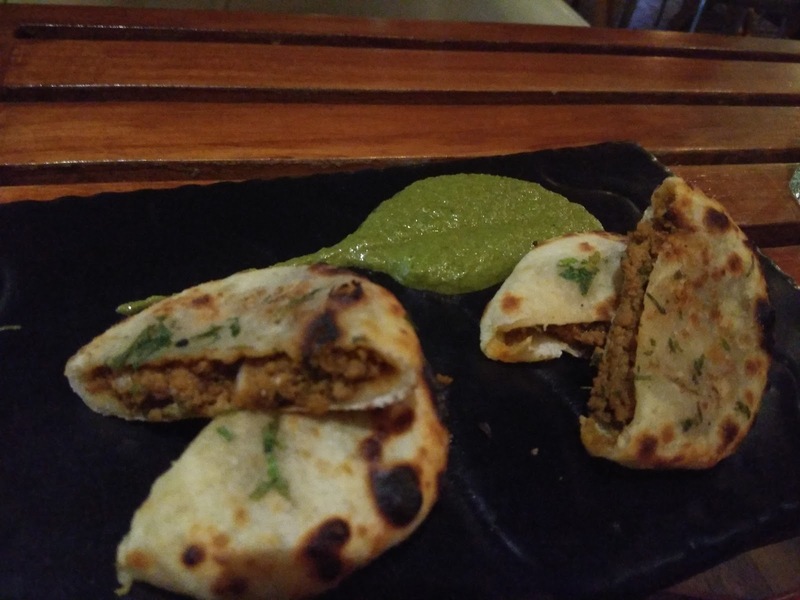 Keema Kulcha with Mint Jalapeno - Minced mutton added into small pockets of bread and served with a great chutney. Dal Chawal Arancini - A signature dish at FC Dal Chawal Arancini is one of their bestselling items as well. Dal balls are served with papads on the top. 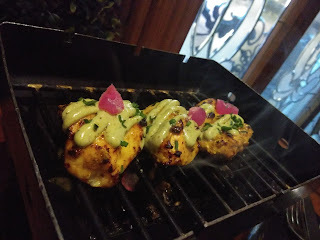 Grainy Mustard Fish Tikka - The best dish I found at this place came with its own barbeque set (coal lit). The fish had abundance of flavors and the sauce over it accentuated the taste. Tempura Fried Prawns - with lemon air - Freshly fried prawns with foamy air, adding a twist through molecular gastronomy. Tried the cheese naan, which was very crisp and light and came with an awesome chicken cooked to perfection. Tried the Ras Malai Tress with carrot embedded into it. Chocolate Dome - A beautiful ball of chocolate with cashew nut mawa and a generous dose of Horlicks milk poured over it. It had Chocolate mousse inside. Ironically, even though the place is famous for its innovation with food, its the core Indian food which shines in this place.